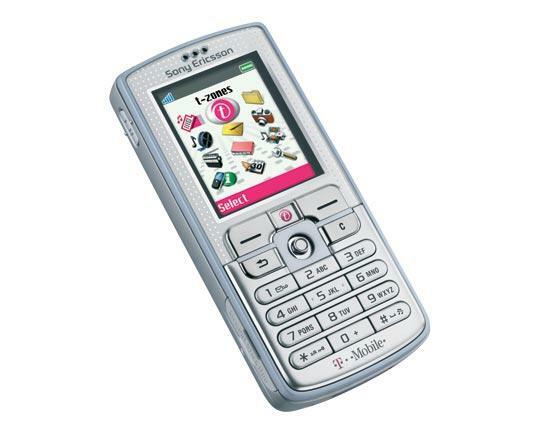 Sony Ericsson’s D750i is available exclusively on the T-mobile network, but is otherwise the same as the company’s K750i phone. It is a small, light smartphone that sports an auto-focus 2megapixel camera, FM radio and music player plus much more, and comes in blue or silver. It’s aimed at those who want a phone that can hold many contacts and appointments, provide basic video and photo abilities and act as a digital music player, and it achieves these pretty well. The phone has a decent colour screen, which also acts as the viewfinder when using the camera (although it’s difficult to use in bright sunlight). Connecting it to other devices via Bluetooth or infra-red was simple and we quickly transferred our business contacts from a PDA. It was then a case of finding their name and hitting the dial button to call them. Music and radio sound quality is impressive and, should you use it as a phone, call clarity is excellent, even in fairly noisy circumstances. Few phones currently have 2megapixel auto-focus cameras. External shots were good, if occasionally a little saturated, but indoor photos tended to be noisy. The auto-focus was quick, but there is a delay between pressing the shutter and the picture being taken. If you plan to capture your fidgety children, forget it – the camera can’t cope with movement. A bright light acts as a flash (and doubles as a torch), which fooled the camera’s auto white balance, leaving pictures with a yellow cast, but the manual white balance settings resolved this. While keen photographers may be disappointed with the results, it’s important to remember this is a 2megapixel camera phone and great for grabbing shots anytime, anywhere.